We provide all the latest Electronics and Hi-Gain Digital aerials that are installed with some of the most up to date digital meters available, providing the best signal available and with sound knowledge of all of the Somerset area and beyond. You are assured an excellent service not only with products but with service too. We offer aerial installation from large hotels to extensions to extra rooms. 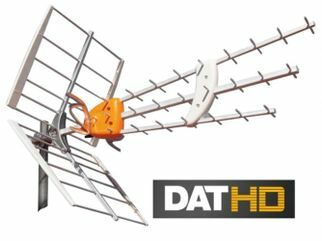 We install DAB aerials, FM aerials and more. From simple faults that drive you mad, to complex large scale problems, we can help. 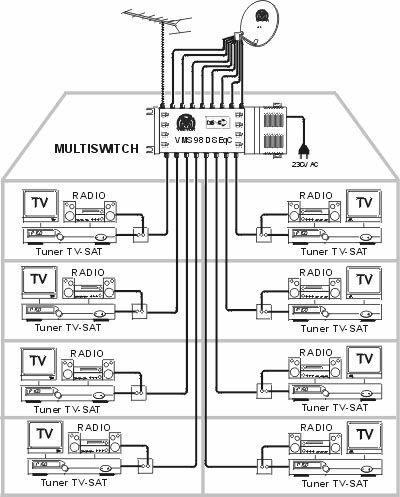 For your considerations we set up and tune in all makes of TV, DVD, Satellite, Video, Hi-Fi etc. We can supply leads, remote controls and anything to do with the television industry when it comes to the functionality of your audio visual equipment. So don't hesitate to get in touch with us if you require professionals within the TV installation industry and we will be happy to speak to you regarding your requirements. We are special heights trained and stick to the latest health and safety guidelines. We are very happy to deal with buildings that sky installers regard as TOO HIGH!!. We have Current Public Liability Insurance of £2,000,000 which is standard for industry, however if any new projects came in that required increased cover, we would very happily accommodate your requirements. We work alongside John West Contractors and any large commercial project can be fulfilled using our services combined. Please don't hesitate to get in touch with us via phone on 01934 611264. Alternatively if you have any questions or queries, you can fill out the handy form which is located on the 'Contact Us' page of this website, and we will endeavour to get back in touch with you regarding your enquiry as soon as possible.